EazyE is an emerging gospel music minister. A lover of God, a praise and worship leader, a music director currently signed to solmedia empire. EazyE hails from Edo state. EazyE has released three singles already of which the last was Biggi God. 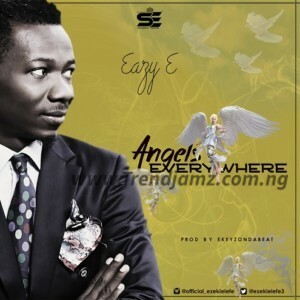 This new song “Angels everywhere” will definitely be a blessing to you and the world at large. Produced by Ekeyzondabeat. Download, Listen and Enjoy!